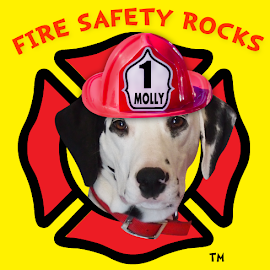 Fire Safety Rocks: Invite Author Dayna Hilton and Sparkles the Fire Safety Dog into your classroom or library to video chat via Skype! 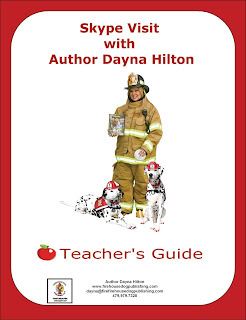 Invite Author Dayna Hilton and Sparkles the Fire Safety Dog into your classroom or library to video chat via Skype! 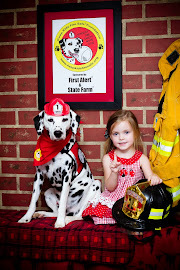 Imagine your students meeting a real fire safety dog! 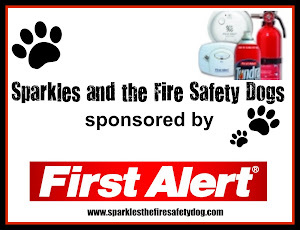 During this fun, educational one hour program, your students will meet a real fire safety dog, listen to Firefighter Dayna read one of her children’s fire safety books, sing fire safety songs along with Sparkles and be sworn in as Jr. Firefighters by Sparkles and Firefighter Dayna! 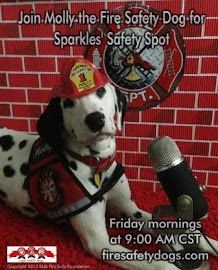 Want to know how Sparkles became a fire safety dog or what a typical day is like at the fire station? The program will also include a question and answer time in which your students can ask these questions and more! Have special needs? We can help meet those needs! Your presentation will be adapted to the age of your students so that appropriate fire safety educational messages will be shared. If multiple classes are grouped together for a presentation, it is suggested that the students are close in age. Contact Firefighter Dayna and Sparkles the Fire Safety Dog to work with you to create a custom program to suit your needs. For available dates and fees, please contact Hilton. 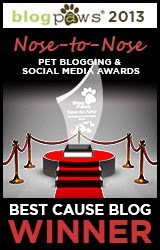 More information is also available on their Skype an Author site. Skype Author Teachers Guide now available. 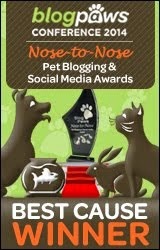 Contains everything you need to know for a successful visit with Hilton and Sparkles via Skype.